Unlike a lot of other visitors to the Maldives, I decided to do something a bit different during my visit. While most people tend to spend little time in Malé, which is the capitol and largest city, before heading to off to the resorts that are sprinkled throughout the 1800 or so islands that make up the Maldives, I opted to forego going to a resort this time (maybe next time). Instead, I actually based myself in Malé in order to see the things that someone who spends their time at a resort might not see. If anything, I would get to see Malé from a more local perspective while still remaining an outsider. My original plan for the Maldives was to spend a day checking out Malé, and then I would spend the remaining days taking day trips to various islands. While this seemed like a solid plan, I soon found this was easier than done. As I stated in "Journey to the Maldives," traveling to the different islands and atolls requires ferries, speedboats, or charter planes. This wasn't problematic per se since there were several options to get around. However, I certainly wasn't going to charter private flights. Instead, I thought I would take public ferries wherever I wanted to go. However, this proved somewhat tricky for me. The ferry schedules are not particularly easy to understand if you're not a local. In order to understand them, you need to know the different island names and the locations from where the boats depart from. In addition, not all ferries run daily. Some ferries to particular islands run only on certain days, and they might only return a day or two later. Also, due to being an Islamic country, there were no ferry services on Fridays since that is prayer day. As I did research on how to get to some different islands, I soon became disheartened since trying to do this was going to be a bit tricky. Luckily though, before heading to breakfast at the hotel, I did find a local tour company that offered day trips to different islands. One tour in particular caught my attention, so I contacted the company, but I was skeptical since I had requested the tour for the very next day. I was half expecting them to respond that they needed some advanced noticed, but they were actually able to book everything the same day. Since I had my tours booked, I headed upstairs and stuffed myself on an excellent hotel breakfast of donuts, curry fish, watermelon, and about 6 hashbrowns that were all washed down with a large glass of strawberry juice. Malé is not a large city, but it is a very crowded and dense city. Even though there are not a large amount of cars, there is an extremely large number of mopeds and motorbikes. In fact, it would not surprise me if each inhabitant in the city owned a moped or motorbike. While I was walking around, I was amazed at how casually everyone drove them considering how there were very few traffic lights. Many times when I had to cross the street, I would just wait for a small break in the traffic, and then I would start walking across the street. Many times, the drivers would just swerve and go around me. In some cases, it was kind of scary, but I knew this was just part of life here. 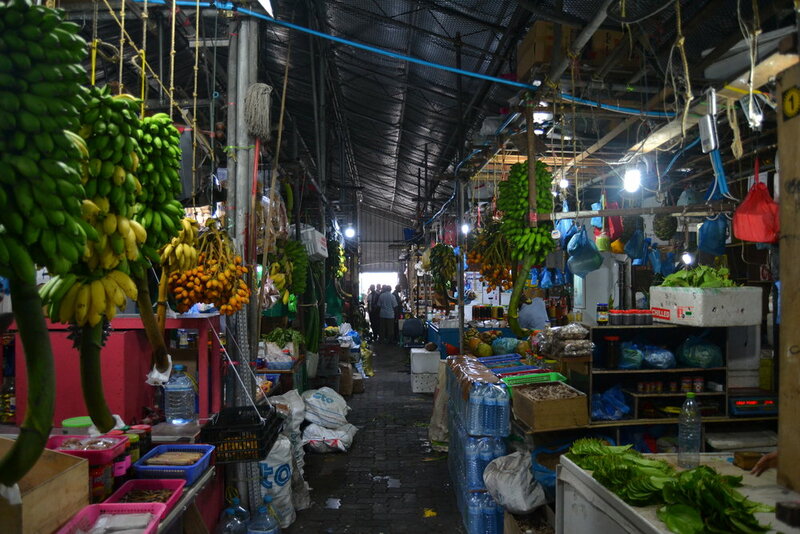 A lot of visitors to Malé often remark that there really aren't that many tourist attractions, and that is generally true. There are a handful tourist attractions to see, such as the Islamic Center, the Grand Friday Mosque, which is the oldest mosque in the Maldives that dates to the 17th century, and the National Museum. All of these attractions are all in very close proximity to each other, so it is not really possible to get lost, nor does one have to walk for a long time to get different sites. The first place I visited during my exploration of Malé was the main mosque. When I visited the Islamic Center, one of the security guards saw me and offered to take me inside. I thought he would give me a tour even though I didn't really need one since I have been in numerous mosques before. After taking off our shoes, we climbed the steps, and in very limited English, he pointed down and said "look, prayer hall." I followed his finger. We were looking down into the main prayer hall where a man was praying. The security guard let me take a few pictures, and then gestured me to follow him back down the stairs. Apparently, the "tour" was over. As we were going down the stairs again, he held out his hand and asked for money. I looked at him disbelievingly and asked "are you serious?" He did not answer but simply held out his hand again and asked for money. After all of the traveling I have done, I should have known that rarely does anything ever come for free. Of course, the guard wanted to guide me in. It was his way to get a bit of extra money. Even though I felt somewhat cheated, I reached in my pocket and gave him the equivalent of about $3 and then went on my way mildly annoyed. Even though it was still in the morning, I was absolutely drenched in sweat. The weather in the Maldives was not only hot but also very humid. In some ways, it seemed almost hotter than Singapore. In order to cool off, I headed to the National Library and checked out some of the English books they had. It was kind of interesting since they had a lot fiction along with all kinds of non-fiction on the tourism industry and other assorted subjects. This was not surprising since a vast majority of the Maldives economy is based on tourism. Unfortunately for me, the National Library was not air-conditioned, but they did have ceiling fans that kind of made the room cooler. After checking out the National Library for a bit and browsing through the stacks, I headed to the National Museum. Thankfully, the Museum was air conditioned and while it is relatively small, it definitely had some interesting pieces that highlighted the culture of the Maldives. 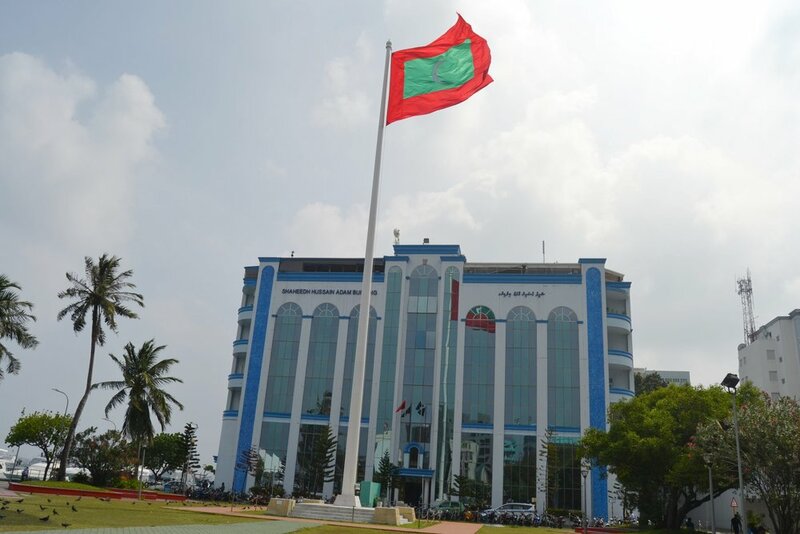 It is kind of like three museums in one building since it houses a one-room philatelic museum (stamps) and a museum with a few rooms dedicated to the police force of the Maldives that showed various awards and different kinds of uniforms that were in use at different periods. For me, my favorite part of the museum was the collection of Maldivian Rufiyaa, which is the official currency of the Maldives, especially since I am something of a casual hobbyist in collecting banknotes from every country I visit. Once I finished checking out the National Museum, I continued to walk around and take in the crowded and hectic surroundings. Even though I was absolutely drenched in sweat while wearing a very light short-sleeve shirt and khakis, I saw many men walking around in dark shirts and pants, and they did not seem to break a sweat. In addition, although the Maldives is a predominantly Muslim country, I did notice that women generally dressed conservatively but wore what they wanted. I saw very few women completely covered with the abbaya and niqab. On the other hand, I saw a relatively large number of women, particularly younger ones not wearing a hijab or any Islamic garb. They were dressed in completely western clothing. However, there was also a sizable number of women who wore western clothes but had a hijab on. I found this interesting since even though Islamic codes of conduct are standard here, the locals seemed to take a somewhat live and let live attitude toward what women wore as long as it was not too revealing. Because Malé is not particularly large, it is easy to explore it in an hour or two. After I had seen the main attractions, I headed to the artificial beach. This is the "local" beach that caters mainly to locals since a vast majority of visitors will use the beaches at the resorts. What was most interesting about this place was that you could see how the locals swam. In order to follow Islamic modesty laws, the adults mainly swam in their clothing. This meant you could see women swimming while wearing their hijabs and clothing. It is definitely something you would not commonly see on a western beach, so I thought it was a relatively unique sight to see. By this time, I was definitely working up a thirst, so I headed to one of the cafes near the artificial beach and ordered myself a drink. 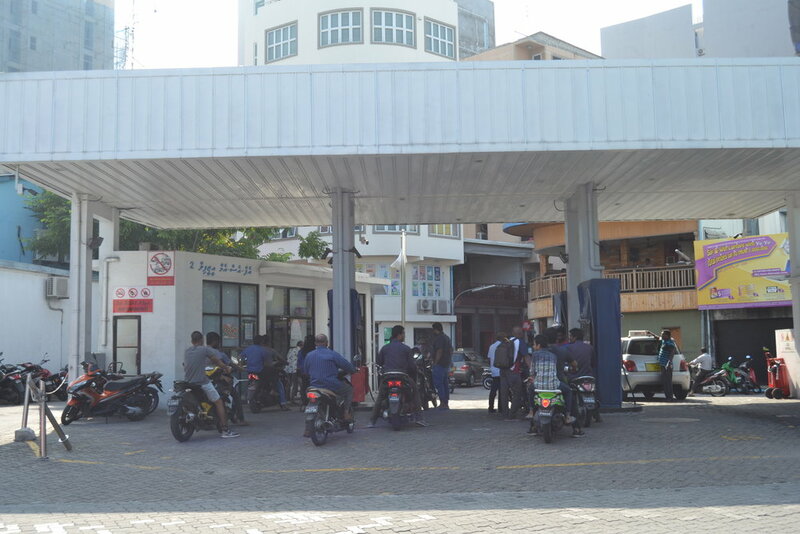 Again, because the Maldives is an Islamic country, the entire capitol of Malé is dry which means no places sell alcohol whether they are restaurants or hotels. I think the only exception is the airport hotel on the island which the airport is located on. Therefore, the drinks that were offered at this cafe were "mocktails." They look alcoholic but lack alcohol. I ordered myself a Maldivian Spice Mocktail and took it easy for awhile. Even though it did not have any alcohol in it, it actually tasted pretty good. It had a bit of spice to it and was quite refreshing. If I have to be honest, Malé is an interesting albeit extremely crowded place with the sound of engines revving up being a constant. There are definitely things to see, but what I found most interesting was just walking around and checking out places where the locals go. In some ways, it was hard for me to believe that these people can work day in, day out in this heat and humidity. I was definitely slowed by the heat, but a lot of the people continued on as they usually would. Either way though, I was definitely thankful to get a view of Malé and see how the locals live. Please stay tuned for my upcoming entry on the islands of Huraa and Villimale (Villingili). Please enjoy these pictures of Malé. All photos were taken by me using a DSLR and iPhone.